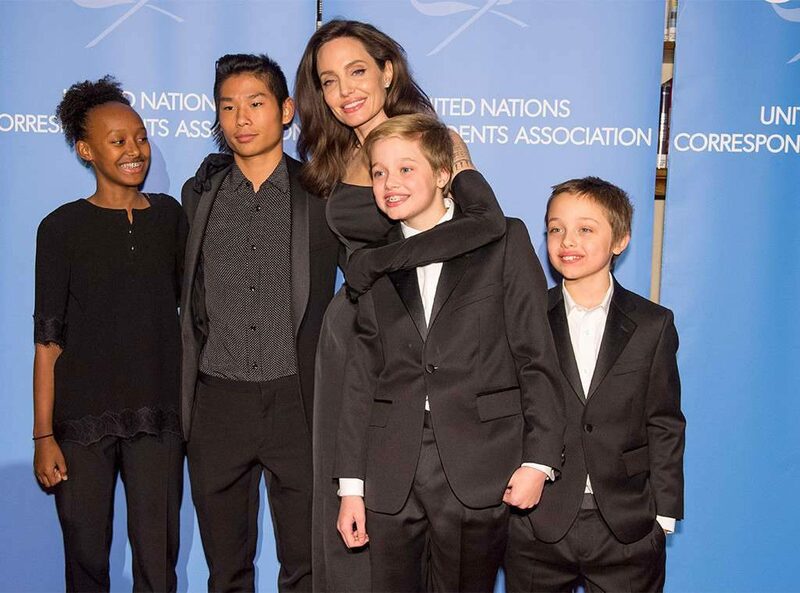 Why Brad Pitt and Angelina Jolie Can’t Stop Fighting? A full 730 days. Twenty-four months.Two years. That’s how much time has elapsed since Angelina Jolie hastily filed to end her brief marriage to longtime love Brad Pitt. Two years have passed that day back in 2016. They were talking about how eager they were to resolve their divorce, how anxious they were to reach a settlement. Two years later—just one month less than the length of their actual marriage and there’s little more to show for their efforts and court appearances than a handful of temporary agreements and the affirmation that they remain miles apart when it comes to parenting. The thrust of their disagreement is straightforward: Each would prefer more time with Maddox, 17, Pax, 14, Zahara, 13, Shiloh, 12, and 10-year-old twins Knox and Vivienne. While Pitt has been steadily gaining visitation with their brood since this summer, when a judge ruled it was “harmful” for the kids not to have a relationship with their father, he’d prefer an agreement that afforded him more than four-hour chunks here and there. Jolie, meanwhile, a source tells ET, “feels the best scenario for the kids is for her to have sole custody.”So that leaves their lawyers (Jolie recently swapped high-powered divorce attorney Laura Wasser for San Francisco-based Samantha Bley DeJea) the gargantuan task of meeting up in resolution centers to iron out a custody plan that will at least semi-satisfy both sides. And, as of late, reports an insider, neither half is feeling appeased: “They do not agree at all, and it’s very time consuming.”For now, they’ll rely on the court-ordered arrangement they reached this summer that sets out the hours they each have with the children. And while that doesn’t seem like much to speak of for two years of work, when you consider where they started—with nasty accusations, rumors of abuse and a full-blown FBI investigation—well, it’s kind of a start. Over the few months following Jolie’s filing were, in a word, awful for Pitt as he waited for both the FBI and the Los Angeles County Department of Children and Family Services to clear him of wrong doing during the Great Plane Incident of 2016 that allegedly involved an argument between him and Maddox. Soon ,the former spouses were announcing the terms of a temporary agreement that left the kids in Jolie’s care while granting Pitt “therapeutic visitations.” And despite a shot across the bow from Jolie in early 2017, when her lawyer insinuated Pitt wanted to keep divorce proceedings closed because he’s “terrified the public will learn the truth,” they seemed to be well on their way to friendly exes status. 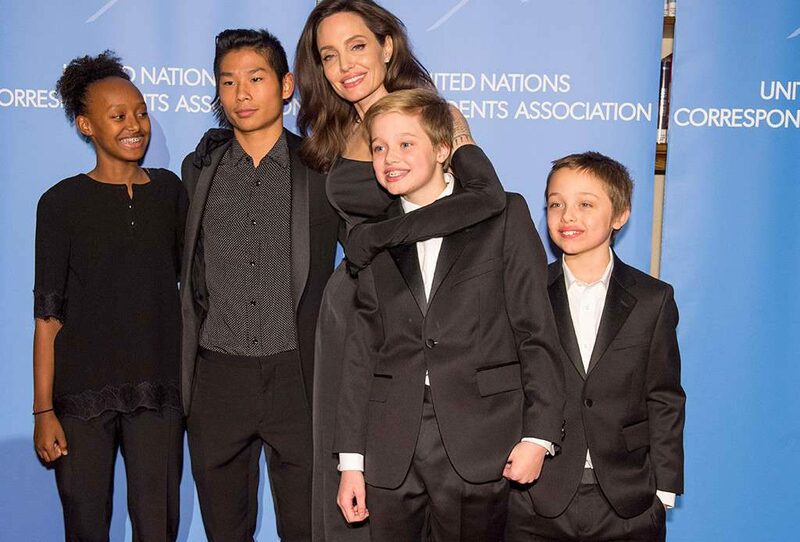 Every now and then, a week, a nanny would ferry the kids the mile or so from Jolie’s newly purchased $25 million Beaux Arts style estate (bought with an $8 million loan from her ex) to the former family home Pitt still lived in. And though a source said Pitt would prefer to spend more time with them, it was something. Last summer saw the couple trading origin stories in the press with Jolie remaining fairly evasive in her chat with Vanity Fair, saying simply “things got bad,” and Pitt choosing to go full mea culpa. He explained the kids are so delicate and they need to be listened to, but he couldn’t manage to be the best father because of his preoccupation with work. All of which might account for Jolie’s decision to initially request sole custody. But they’d turned a corner, Pitt shared, thanks in part to his adherence to cranberry juice and fizzy water, a devotion to therapy and a willingness to fly wherever need be to visit with the kids. And now he and the woman he’d once turned his life inside out for were ready to figure this whole thing out together, or, at the very least, through their team of exceptionally well-trained attorneys. site conations genuinely pleasant funny stuff too. I will right away grasp your rss as I can’t find your e-mail subscription hyperlink or newsletter service. Thanks to my father who shared with me concerning this web site, this web site is in fact awesome.